Introducing HERO6 Black, the most advanced GoPro ever. Featuring its all-new GP1 chip, HERO6 Black delivers 2x the performance of HERO5 and our best image quality yet., HERO6 Black takes Emmy® Award-winning GoPro performance to a whole new level. Incredible high-resolution 4k60 video and high frame rate 1080p240 video enable stunning, immersive footage of you and your world. 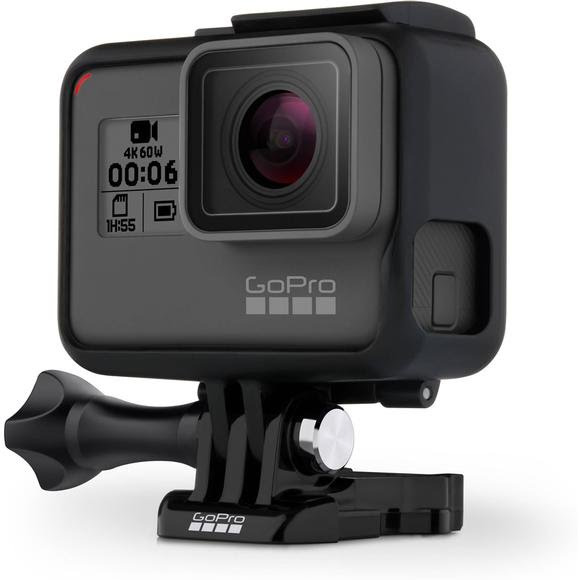 Capture then kick back as your footage moves to the GoPro app and transforms into an awesome video - automatically.